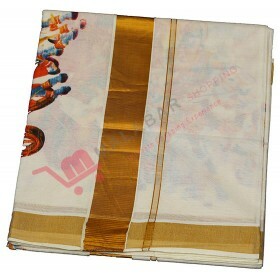 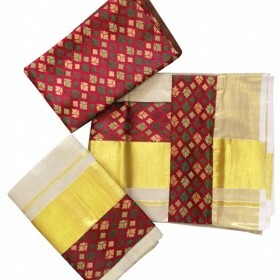 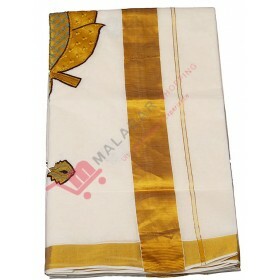 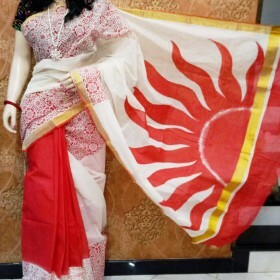 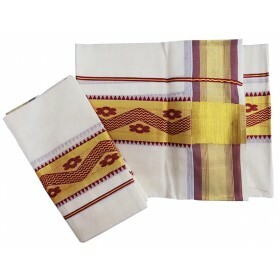 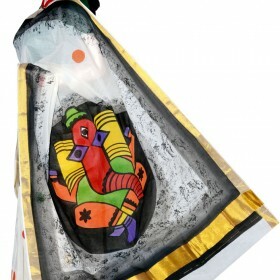 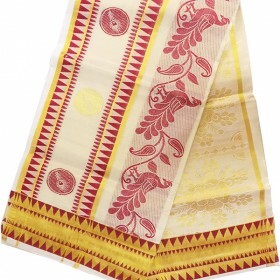 An elegant Cream colour traditional temple design kasavu saree with red color from Malabar shopping .. 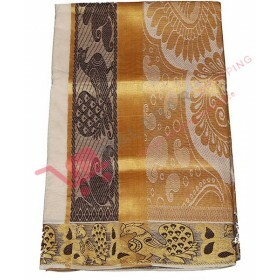 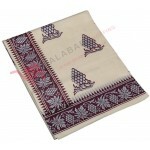 Stylish and traditional ethnic collection for Kuthampully Special printed grape design Kasavu Saree. 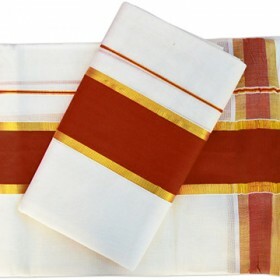 Kerala special kuthampully handloom designed with grape printing kasavu saree is the special handmade saree differtinate than the other kasavu sarees. 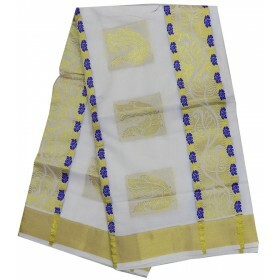 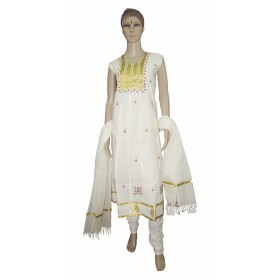 The off white saree have the grape colour with have silver combination.